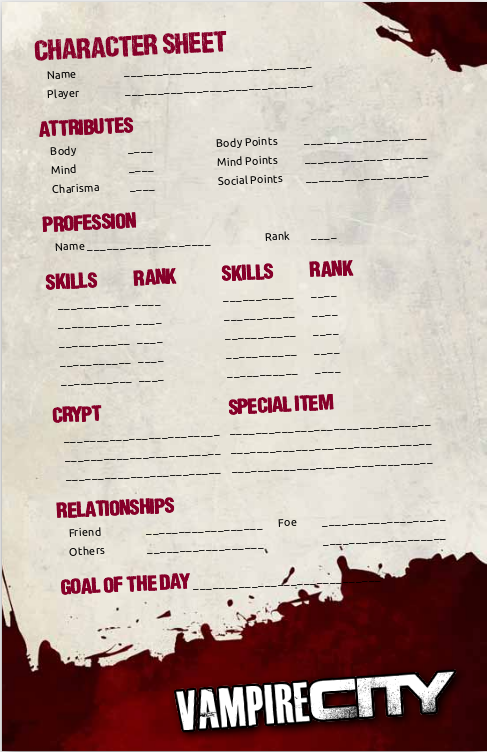 Why doesn't the Vampire City character sheet have “Hubris” or “Dark Gifts” traits? 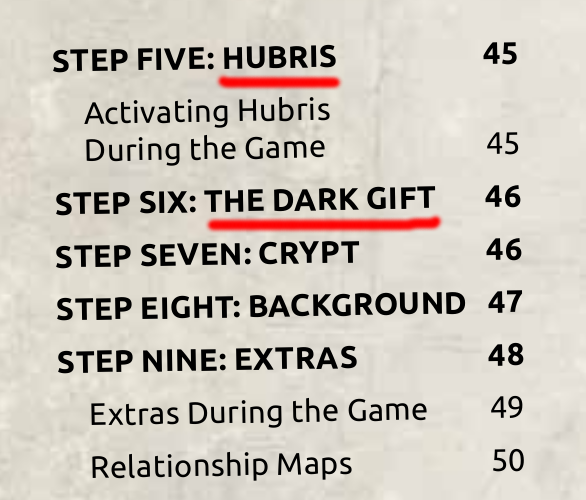 I'm trying to create a character for Vampire City but the character sheet doesn't have room for "Hubris" nor "Dark Gifts", which you have to define on Steps Five and Six. "Hubris" is the character flaw, that can be played against him for drama. "Dark Gifts" are the vampiric powers. Both are explained in the book, but doesn't appear on the character sheet. And I'd say that as Hubris importance could be debatable, dark gifts are essential. I attach a couple of images illustrating the point. This is from the index of Vampire City, on Predator and Prey (character creation) chapter, as found on DriveThruRPG preview. Browse other questions tagged character-creation character-sheets vampire-city or ask your own question. Where can I find a foldable character sheet for The Dresden Files? How do I change the numbers on my character sheet when I level up? What's the best way to use a tablet computer for your character sheet? What is the Misc. box in the D&D 4E Essentials character sheet? What is armor “properties” on the default character sheet? What's the point of the character sheet? Is there a good character sheet set up for the Unchained Variant rules, especially Consolidated Skills? How many weapons should I have and how many attacks should I list on my character sheet? Where do I list racial traits/class abilities on a PF character sheet?